Evergreen with needle like foliage. 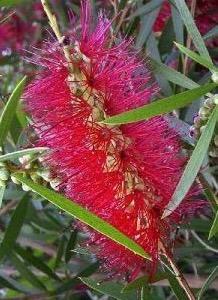 Dense red bottle brush flowers, August to September. 2m tall. Sun and good drainage. Hardy to -8c. Best against a hot wall.